In August, the best women's volleyball players in the region will be coming to Belize for the 20th. Central American Women's Volleyball Championships. World class teams like Costa Rica and Nicaragua will be a few of the Central American countries squaring off in the week long tournament. But is our Belize team ready for the competition? 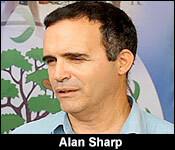 Well according to the Belize Volleyball president Alan Sharp they are. "I think our girls are ready to do battle and defend Belize. Last time in the under 20 we took perpetual champion Costa Rica to five sets and I think with that and crowd support we can do some magnificent things. The girls have been training since last August with Cuban coaches and with a lot of support so this is one of the best teams that we have put together and best-trained teams so this month we have practice matches in Mexico with some strong teams and we hope to repeat that in the month of July as well so a lot has been going in to getting this team ready to battle and defend ourselves." "We are training to beat everybody. Costa Rica is the perpetual champion in women because they have not lost in over 15 years. They have been to the very high levels however they are ready to be beaten so to speak. Nicaragua and Guatemala feel that can do it. Honduras also has that feeling. Belize now has that feeling with all the training going on so we think it is going to be quite an even match." "The winning teams get to qualify for the continental championship depending on how the ranking goes some additional teams can qualify to go in." "Who is in the Continental Championship?" "Well in the Continental Championship we are talking about North America. Only eight teams get to qualify and that included United States, Dominican Republic, Cuba, Puerto Rico, one or two teams from Central America depending on ranking and a couple teams from the Caribbean." All Central American volleyball federations including Belize, Guatemala, El Salvador, Honduras, Nicaragua, Costa Rica and Panama are expected to participate. The tournament will determine who faces off in the Continental Championship.